A trip to Chinatown inevitably leaves me staggering to the tube station laden with kilos of frozen dumplings, all sorts of spices, sauces and pastes, noodles, and fresh greens and herbs. I just can’t resist going a little crazy in the Asian supermarket. The result of a recent trip are two of my favourite Asian dishes, one Chinese and the other Thai but together they create a delicious fusion of flavours. 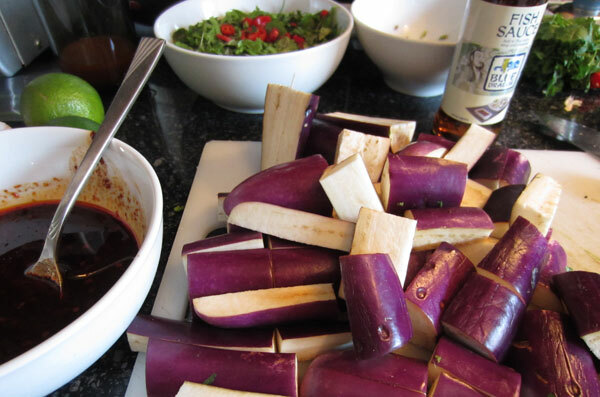 Melt in your mouth, succulent pieces of eggplant with a thick chilli sauce. Cut the eggplant into 1-inch lengths. Mince the garlic. Heat the wok over medium-high to high heat. Add 2 tablespoons of oil. When the oil is hot, add the eggplant. Stir-fry the eggplant until it is softened (about 5 minutes). Remove and drain on paper towels. Add 2 tablespoons oil to the wok. When the oil is hot, add the garlic and bean sauce. Stir-fry until aromatic. Add the sauce and bring to a boil, stirring quickly to thicken. 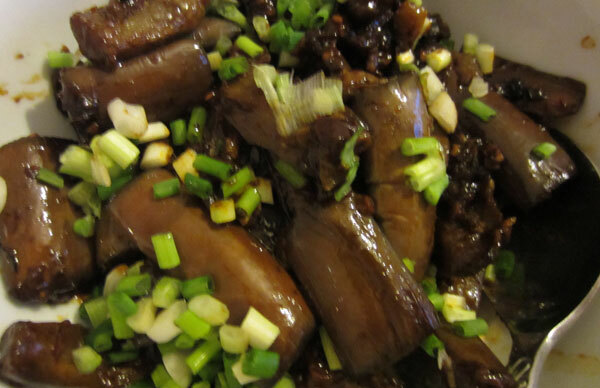 Add the eggplant slices and cook for a few more minutes remove from the heat and stir in the spring onion. Serve with steamed rice. 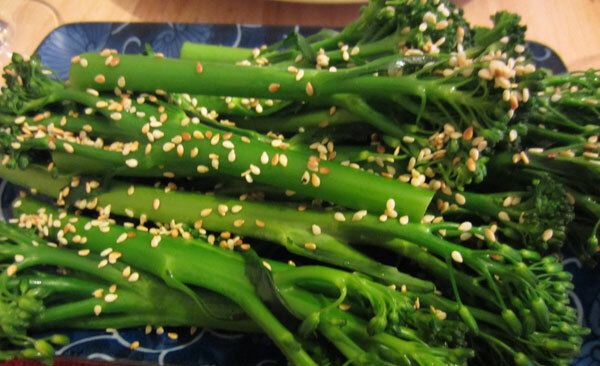 Accompany with steamed broccoli tender stems and toasted sesame seeds. The combination of coriander, mint and lime make this dish deliciously juicy and fresh. Heat a wok over mediem heat, add the oil and swirl to coat. Add the chicken and stir-fry for 3-4 minutes until browned. Add the stock and 1 tbs of fish suace and simmer for 5 minutes. Remove from the heat. 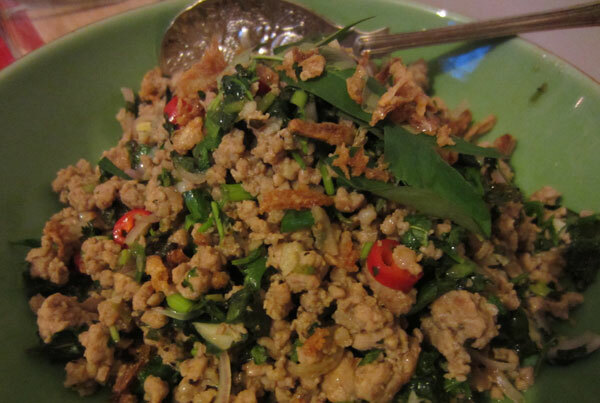 Stir in the lime juice, remaining fish sauce, spring onion, shallots, coriander, mint and chilli. garnish with fried shallots and Vietnamese mint. Thanks Andrew, glad you liked them, two of my faves.